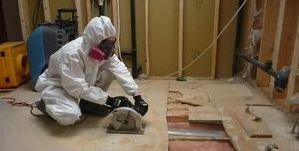 Even the most prepared homeowners can’t predict a leaking roof, a clogged toilet or a flooded garage, but they can be prepared for it by learning from the experts with 911 Restoration Durham Region about what to do. The high precipitation levels in Durham makes the homes in Peterborough County especially susceptible to experiencing water damage. When water infiltrates you home you can call the IICRC certified Peterborough County water remediation professionals any time, day or night, because we’re available 24/7/365. Our staff promises to get help to your home within 45 minutes of receiving your call. In order to always be protected, you need the Peterborough County flood damage team on your side, because they will get there immediately after water strikes. Our entire operation is licensed, bonded and insured, so our customers in Peterborough County can always feel safe and protected when we arrive on the scene. We know our water damage experts can help you out of any water emergency. Keeping your shower in proper functioning shape is necessary to prevent extensive water damage in your bathroom. The Peterborough County plumbing experts have some tips that every homeowner can follow in order to avoid future water problems. Check the grout and tile at least two times a year to make sure there are no loose or cracked tiles. Being constantly hit by water makes the grout susceptible to needing frequent repairs. If the grout is crumbling or falling out make sure to address the issues right away and make all necessary repairs in order to avoid leaks. Inspect the shower pan annually. Any cracking can cause leakage that could cause water to overflow and seep into the wall and floor, which can lead to water damage and mold down the line. 911 Restoration Durham Region owner Mike Porco knows that with years of experience in the home restoration industry, his customers can rest assured when the Peterborough County repair crews are on the job. They are the most competent service agents in the industry. So if your home is already experiencing water invasion from a pipe burst or any other means, then contact our water damage Peterborough County experts with 911 Restoration Durham Region today! 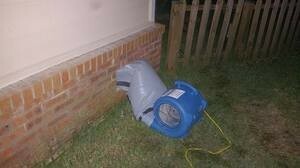 The water damage Peterborough County pros make it a priority to always put the customers first. Branch owner Mike wants every homeowner to feel cared for and heard, so we can do everything we can to make the situation better. Customer service is key when it comes to understanding the needs of the Peterborough County homeowners, so we offer free water damage estimates, affordable prices, free visual mold inspections and always work with all major insurance companies. Mike and his team want to be there for you during this vulnerable time. We use innovative water removal techniques, coupled with our advanced water removal and drying equipment. Call the Peterborough County flood extraction agents to get expert assistance right away. We want to give your home a fresh start, so contact our water damage Peterborough County team with 911 Restoration Durham for immediate help today!